Amazon AppStore launched in 2008. In 2016, this app marketplace offers hundreds of thousands apps for your Android phone or tablet. The apps can also be downloaded onto the Kindle Fire tablets, which operate on a modified version of the Google Android OS. 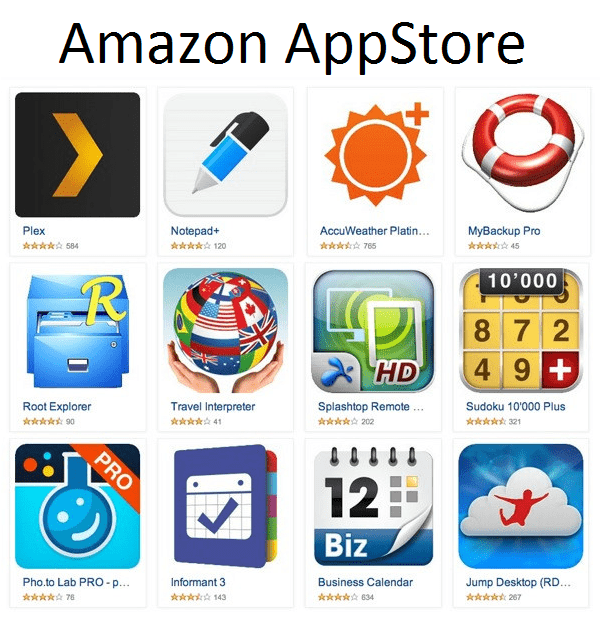 Amazon AppStore has free and paid applications. Every day, the store offers a daily paid app free of charge. During holidays and special occasions, the AppStore often offers application packages at a discount. One of the ways to browse the Amazon AppStore is by downloading the Amazon Underground app onto your device. Underground launched in the summer of 2015. The app gathers and unveils 1000s of “actually free apps” that would incur a charge if downloaded through any other source, including the regular Amazon AppStore. There are no hidden costs, such as in-app purchases. Amazon Underground is extremely popular among Amazon users, however, about a year ago it started to receive a lot of bad press due to changes that seem to invade the user’s privacy. For example, Amazon Underground is now requiring access to your contacts. It requests to be able to read, send and receive SMS (charges may incur). It asks to be able to publish details of your purchases and browsing choices. It even wants to be able to access and create passwords. Amazon Underground operates based on a new, yet incredibly and effective model. It lets users download tons of apps and games free of charge that would otherwise cost 1-2 dollars each. As a user, you don’t have to pay anything whatsoever, but as mentioned above you have to “nearly sell your soul” to Amazon in terms of permissions for the Underground. So how do the developers make money with this novel system? Amazon pays them based on how much time users spend on the apps. The system must be working well as the Underground has grown rapidly in a very challenging environment within a very short time. The Amazon Fire tablets come with this application preloaded, which partly explains the rapid growth. In order to download the Underground on a regular Android device the user has to go through a “painful” multi-step download process. You don’t need the Amazon Underground to use the Amazon AppStore, even though Amazon suggests on their website that you download the Underground for your phone. There is the Amazon AppStore app for Android devices that will allow you to enjoy a selection of your favorite apps, including a daily paid app free of charge. To install either one of the apps you may have to enable downloading apps from unknown sources in your Android device settings. Once you have the Amazon app store on your device you can tweak it to suit your needs. For example, you can set parental controls for in-app purchases or turn off In-App purchasing all together. The Amazon Echo is a new device from the innovative company released to the general public in the summer 2015. Amazon Echo is a hands-free speaker that understands voice commands for tasks (known as “Skills”). You can use the devise for tasks starting from ordering pizza, to turning on the lights, to playing music. 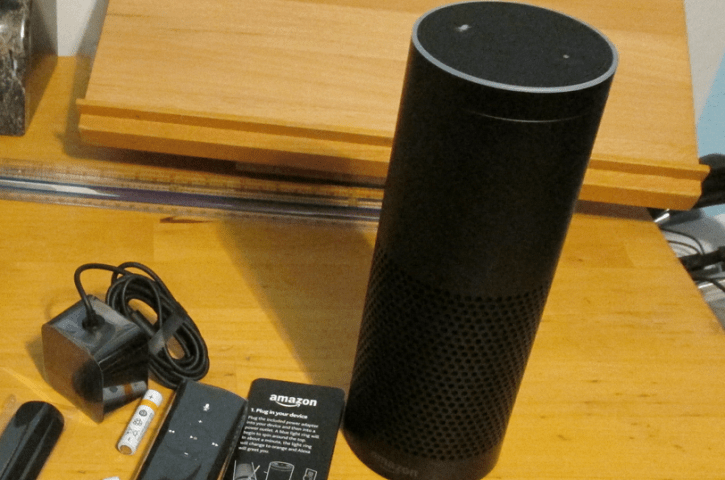 This device works with Alexa Voice Services. For example, you can say: Alexa, order paper towels. Or, Alexa, find me an Indian restaurant. Or, Alexa, what’s on my calendar today? New Skills are being added all the time by third party developers; the device operates via the Alexa app. Echo is extremely popular. It has over 35,000 customer reviews on Amazon.com, 4.4 stars and the title of #1 bestseller in home automation controllers. It costs $180 dollars. There is a prospect of that the Amazon Echo may become the next big app store, where numerous app developers may rush just like they rushed to the original Amazon AppStore in 2008. It is unclear how the revenue would be set up in the prospective “Echo app store”. Judging by the latest Amazon trend of paying self-publishing authors based on the number of pages read in their books, and paying the Underground app developers based on the time the user spent using the app, Amazon might use a similar revenue system for the Echo. In 2016, there are apps for nearly all purposes: from games to weather forecasts, news and accounting, editing photos and videos and so much more. The most used apps for 30-39 year olds are related to news, information and productivity – 47% of users. The most used apps for 19-29 year olds are related to gaming and entertainment – 57%, followed by social networking apps – 59%.